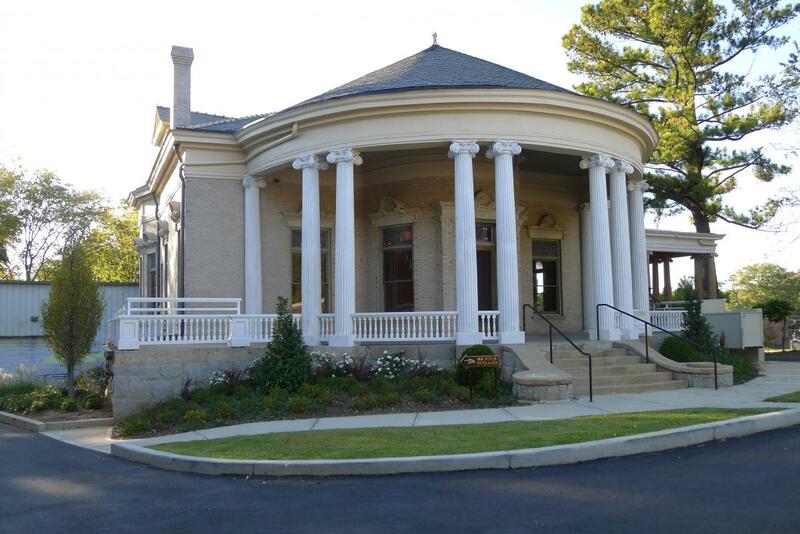 The Victor H. Kriegshaber House is historically significant for its association with Victor Hugo Kriegshaber, who was a leader in the cultural and economic development of Atlanta during the first third of the century, and the original ownerof this house. He commissioned the building to be designed by architect Willis F. Danny just before 1900 and lived there with his family until 1924.The Kriegshaber residence is a fine example of Denny’s work; he practiced only a few years in Atlanta before his early death at 31 due to pneumonia, but managed to design many of the city’s most prestigious public and private structures before 1905. Stylistically, the house is a noteworthy transitional statement combining late Victorian and eclectic details. Kriegshaber was born in 1859 to Prussian immigrants living in Louisville, Kentucky. He did not make his home in Atlanta until 1889, when he left his civil engineer’s position with the Central of Georgia Railway to become a contractor and soon after president for forty-three years of his own building materials supply company. Nine years after his arrival in Atlanta, Kriegshaber was able to afford his elegant showplace on the periphery of Inman Park. He served in executive positions for countless businesses, civic, philanthropic, and cultural organizations. In addition to his building material supply business, Kriegshaber was the founder and first president of the Atlanta Terra Cotta Company, a director of the Atlanta Art Glass Co. and vice-president of the National Builders’ Supply Association. He was a director of the Chamber of Commerce and, in 1914, was part of the committee from the Chamber that spearheaded the new development at Lakewood for the Southeastern Fair. The Fair opened in 1916, the same year that Kriegshaber served as president of the Chamber of Commerce. A charter member of the Rotary Club, Kriegshaber also served as director of the local council of the Boy Scouts of America, as president of the Jewish Charities and of the Jewish Educational Alliance and was director of the Hebrew Orphan’s Home. He was instrumental in establishing the city’s first public playgrounds for children and was later vice-president of the Playground Association of America. In 1905, Kriegshaber was one of the organizers of the Standard Club, serving as its first vice-president. Kriegshaber served on the executive committee of the Atlanta Music Festival Association from its founding in 1909 until his death. The first Atlanta Music Festival, held in 1909 in the just completed Auditorium, was such a tremendous success that the Atlanta Music Festival Association inaugurated in 1910 the first of nearly twenty annual spring visits by the Metropolitan Opera to Atlanta’s Municipal Auditorium. In addition, his belief in the ability of local musicians and choristers led to the establishment of the Atlanta Philharmonic Society, of which he was president at his death in 1934.